EPA next week will begin implementing a massive reordering of its 10 regional branches to bring them more in line with agency headquarters in Washington, D.C. The reorganization, known as the regional realignment, has been seven months in the making and has been beset with delays. Internal records obtained by E&E News show that EPA had originally proposed to have the initiative finished by the end of last year, which was later pushed to February and March of this year. Now, the realignment finally seems set to go forward this month. Next week, the realignment will take effect in EPA Regions 3, 6 and 10, according to an internal email EPA Administrator Andrew Wheeler sent to employees this morning. The agency's remaining seven regions will implement the realignment two weeks later, during the last week of April. Gary Morton, president of American Federation of Government Employees Council 238, which represents about 8,000 EPA employees and is the agency's largest labor group, told E&E News, "Employees are very concerned about the future of their careers because of the realignment. "Anytime you have new relationships, or new seating, it is a recipe for organized chaos until it gets sorted out," Morton said. "Seating is a big thing. Seniority will be changing. Also, employees are jockeying for positions for career development. Some are happy with the realignment. Some are not happy with the realignment," he added. Other union officials agreed that the continued change at EPA under the Trump administration has unsettled staff. "The employees are anxious, and many do not like it when a change occurs," said Dianna Myers, president of AFGE Local 534, which represents EPA Region 4 employees. She added, "They are interested in what does this change mean for me? What is going to be my job? Am I going to keep my pay? Who is going to be my boss? And am I going to have to move to another office?" Each regional office will have eight divisions that will sit under the regional administrator's office, according to the realignment plan. The proposal, first announced in September, is designed so that each branch will mirror the functions of headquarters, including programs for air, water, emergency response, enforcement and science. In addition, programs like children's health, environmental justice, tribal and international affairs, as well as geographic programs where applicable, will sit in the regional administrator's immediate office. At a House hearing earlier this week, Wheeler was asked about the agency's plans to realign its regions. He said six of the regions had enforcement divisions, while four did not. "They sprinkle their enforcement people throughout each of the program offices," Wheeler said. "One region didn't have an air division in the title, so people had a problem trying to figure out who to go to from region to region if you needed a permit or if you needed help on a particular issue." Wheeler added, "It's going to allow, for example, the enforcement office of EPA headquarters to work more closely with the enforcement divisions around the country, to make sure there is continuity and to make sure that there is consistency between the regions." Wheeler also said at the hearing that the realignment would take effect this Monday. He did not make the distinction that it would be implemented in some of EPA's regions later this month. As part of the reorganization process, EPA has signed several agreements with unions on how to implement the realignment. The memorandums of understanding, or MOUs, have similar provisions, including how to negotiate office space moves and telework. They also state that there will be no staff reductions or grade changes due to the realignment. The agreements also try to mitigate the reorganization's impacts. One provision included in AFGE Council 238's MOU with EPA for the realignment says that if an employee is assigned new duties, management will evaluate whether the employee needs training to perform those duties. "If, in management's determination, the employee requires additional training, training will be provided consistent with the employee's position description and will be approved when feasible," says the agreement. NTEU's agreement with EPA regarding the realignment also includes a similar provision. Under the MOU, EPA should provide training for reassigned employees "to meet new organizational objectives" due to the reorganization. NTEU has chapters representing EPA employees in Cincinnati; Edison, N.J.; Kansas City, Mo. ; San Francisco; and the agency's Washington, D.C., headquarters. In a statement shared with E&E News, NTEU President Tony Reardon said EPA has the discretion to make such changes, but his union wants to make sure employees are treated fairly and given a chance to transfer. "We are concerned that the realignment is causing some veteran employees to decide to leave EPA rather than be relocated, which is an unfortunate loss of valuable experience to the agency," Reardon said. "EPA employees are dedicated to their mission of protecting the environment and public health, and it is unfortunate that the agency has chosen to disrupt their personal and professional lives with this realignment." Also included in the agreements are provisions letting employees request reassignments from their new jobs after a certain number of days since the realignment has been implemented. Asked if the agency was worried that it would be overwhelmed with those requests, EPA spokesman James Hewitt told E&E News, "No." Unions also sought to protect specific sets of employees under the realignment. Included in both NTEU's MOU and a separate agreement with the Engineers and Scientists of California was a provision that EPA would provide a briefing to the unions and affected Superfund program employees who have been moved into the Office of Public Affairs. After this reorganization, employees may end up in new jobs with new supervisors. Some of those effects are already being felt as people prepare for the change. Jeanne Schulze, president of AFGE Local 1003, which represents EPA Region 6 employees, said she has already received two complaints from EPA employees she represents regarding their would-be supervisors under the realignment. "I'm concerned people [the would-be supervisors] are trying to throw their weight around," Schulze said. "It's part of this climate we are in. When people feel stressed or anxious, they do things they wouldn't otherwise do." One major change from the realignment will be the establishment of enforcement divisions in several regional offices. Union officials are worried that will take control of enforcement decisions from career staff over to political leadership. Under the realignment, a new enforcement division will be set up in EPA Region 5. Prior to the reorganization, enforcement decisions were made by career staff in other divisions, with multiple levels between those making the decisions and headquarters back in Washington, Nicole Cantello, president of AFGE Local 704, which represents EPA Region 5 employees, told E&E News. "It sets up a command-and-control structure where the agency can limit enforcement," Cantello said about the realignment, adding that she is worried that the Trump administration will not enforce the law and will allow more pollution. "This structure will allow this administration to get away with less enforcement. That is our concern, and we believe that will happen in the future," she said. 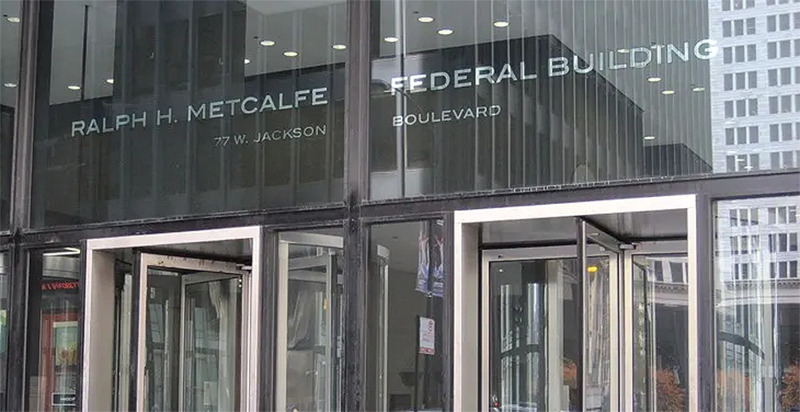 Cantello said enforcement staffers in Region 5 are convinced that the realignment was designed to make the Chicago office's enforcement function less effective. She noted the leading role the Midwest branch has played in EPA's national enforcement initiatives to target pollution, including its push against coal-fired power plants. Enforcement attorneys are expected to be moved around under EPA's realignment. Britta Copt, president of AFGE Local 3607, which represents EPA Region 8 employees, said her branch already has an enforcement division but there will be changes under the realignment. "The legal enforcement attorneys are being taken out of the enforcement division and being put in the Office of Regional Counsel with the other attorneys," Copt said. Steve Calder, president of AFGE Local 3428, which represents EPA Region 1 employees, said a similar change is afoot in his branch. "One of the concerns with that change is that the attorneys who only worked on enforcement will now be in the Office of Regional Counsel and can work on other things," Calder said, with that regional counsel office setting those attorneys' priorities. "It aligns with the general counsel and headquarters." EPA defended the move to set up enforcement divisions in the regions, saying the realignment's purpose is to bring consistency across the agency. "The realignment will result in enforcement divisions in each region, just as EPA headquarters has been organized for years. Currently, the enforcement organizational structure varies from region to region, without explanation or justification," Hewitt said. Copt said "some weird things" have already popped up under the coming reorganization. She mentioned one person who has 80% of her duties in one program, while the remaining 20% is in another program. Those duties will be split into different divisions under the realignment. "It hasn't been decided yet whether she is going to keep that 20% of those duties. Are they going to go to another person, or are we just not going to do those duties? There are small examples like that," Copt said. "There is a lot of people who will have their jobs divided up." EPA kept Congress in the loop regarding the realignment. The agency prepared a congressional briefing document last November. Acting Deputy EPA Administrator Henry Darwin also discussed the agency's reorganization plans with staff for the Senate Environment and Public Works Committee last year (E&E News PM, Oct. 25, 2018). Capitol Hill seemingly had questions about EPA's realignment. Asked about delays to implementing the reorganization, Hewitt said lawmakers wanted more time to review the proposal. "Congress asked the agency for more time to discuss and consider our plan, which recently resulted in a 'no objection' to the realignment," said the EPA spokesman. EPA was also sidelined earlier this year by the partial government shutdown that shuttered several agencies for weeks. Earlier this week, Sen. Tom Udall (D-N.M.), ranking member on the Senate Appropriations subcommittee that oversees EPA, said in a letter to Wheeler that he didn't object to EPA's realignment. Nevertheless, the appropriator pushed the agency to bolster its declining workforce. "For EPA to turn around this staffing crisis, agency leadership must follow the direction of Congress by focusing on hiring and retaining qualified staff rather than allowing such drastic staffing losses," Udall said (E&E Daily, April 11). EPA's overall staffing levels are down by 8% since fiscal 2016, with the enforcement office losing 19% of its staff, the senator said. Union officials are worried that the realignment will paper over the cracks in the agency's staffing. Schulze in EPA Region 6 said they are losing "highly graded, highly skilled employees" who are not being replaced. "I'm really worried about backfilling the mission-critical positions, that this is being used to cover up what's happening, which is the mass exodus of staff, and we don't have enough staff to do the work of the agency," Schulze said. Several EPA employees will be shifted around under the plan. Cantello said in EPA Region 5, about 100 people will be put under new position descriptions, while another 300 will be slotted into a new division. "It is causing a gigantic upheaval," Cantello said. "This is the largest disruption that I can remember having in my 25-year career here."